I received a copy of Escape, episode 5 in the My Masters' Nightmare serial, in exchange for my review. Having escaped the Whore House with Jagger in tow, Rita returns to the house, to find a strange revelation come upon her, finally revealing the knowledge that was missing via her amnesia. Meanwhile Frano is determined to get his cousin back, and to destroy the family that destroyed him. But first he must deal with the issues in his own household, namely his brother's obsession over their cousin and the poor condition which Bianca was left in. I received a copy of Poisoned, episode 4 in the My Masters' Nightmare serial, in exchange for my review. Having promised Jagger that she would kill her husband, Bianca comes up with a plan, playing on Jagger's brother, Theirry's own abuse by Alberto's plan, in order to fulfill it. Playing her part in keeping Frano oblivious of the events of the past couple of episodes, including about the existence of Rita, with drugs and an induced coma, she plans to poison him. Meanwhile Alberto is suffering the advances of Rita's husband, Matteo, who uses blackmail to get him to do what he wants, including against the battered and bruised Jagger. I received a copy of Betrayed, episode 3 of the My Masters' Nightmare serial, in exchange for my review. After the coup against Franco, he finds himself in a slave cell and ordered to strip, after all slaves aren't allowed clothes. Though when Rita is brought in drenched and unconscious, his first instinct is to worry about her as opposed to anything else. Rita is still confused as to why she is so attracted to Franco, though now she knows her husband is still alive she has less to hate him for. When Rita decides to pay Franco back in kind for what he did to her, she discovers things about herself that she didn't know before. And if she didn't think she knew herself, then she has even more shocks in store for her about the people around her. I received a copy of Discovered in exchange for my review, it is episode 2 in the My Masters' Nightmare serial. Taken is episode 1 of My Masters' Nightmare. I received a copy in exchange for my review. Rita is an FBI agent with a vendetta. With her husband killed 6 months ago by the Italian Mafia, Rita goes undercover to try and crack their human slave ring. But Rita didn't expect for her assignment to be so difficult. On the other side of the coin, Jagger is intrigued with his latest slave, Rita, normally he goes for blonde women, but there is something about this strong brunette that makes him want her. I received a copy of Thomas's Muse in exchange for my review. Sammie lives with her boyfriend, and male model, Rick, but she is aware that everything isn't as perfect as it seems, and most nights she is left reliving a four year old fantasy about an art student. It takes her a few encounters, but she soon figures out that the guy in her fantasies is none other than the super hot new guy in the art department. All Tom really wants is for Sammie to realise how amazing she is, and just how much better for her he is than Rick. 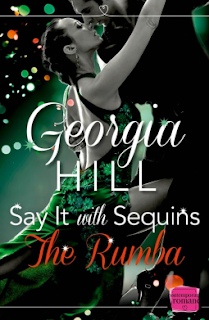 I received a copy of The Rumba, book 1 of the Say it with Sequins series, from Netgalley. Julia and Harri are contestants on Who Dare Dance, a rival show to the BBC's Strictly Come Dancing. Julia wants to liven up her flagging career, and Harri wants to go into something completely different. As a twist for the Christmas special the contestants would be dancing with each other, and when Julia and Harri get paired together for the rumba they are equally pleased and dismayed. They both find each other attractive, and the chemistry between them is electiric, but Julia doesn't know if Harri likes her, and Harri has to be careful for a relationship could ruin his career as a children's presenter. But when someone lets slip about their burgeoning relationship, they put all their energies and passion into the rumba, both on and off of the dance floor. I received a copy of Pearl on Cherry in exchange for my review. 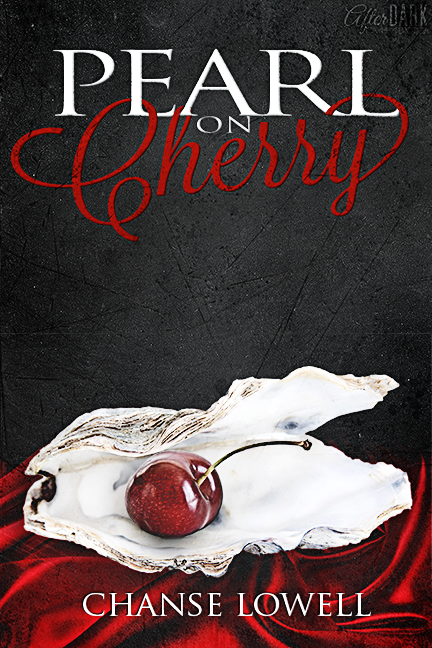 Cherry is an orphan, working behind the scenes at a theatre instead of singing on the stage like ahe dreams to. Then she meets William, a wealthy patron with a bit of a reputation, particularly relating to his 'forbidden' pleasures. Though each tries to deny their feelings for the other, they quickly find that life alone is not worth living. 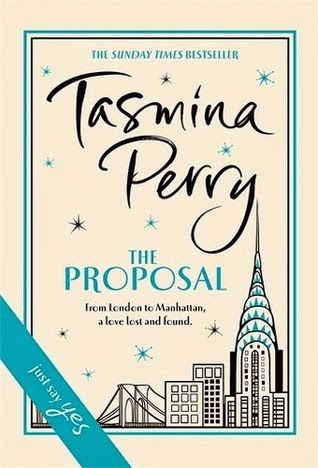 I received a copy of The Proposal from the Goodreads First Read program. Amy is an American dancer living in London and trying to make ends meet by waitressing. One evening she goes to a fancy dinner with her boyfriend Daniel and she discovers that he and his family look down on her for just being a dancer. 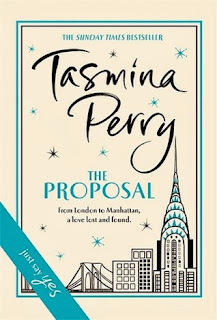 After breaking up, and going to her friends, Amy ends up emailing Georgia, a lady in her seventies who has advertised for a travelling companion for a trip to New York. Told in parallel is Georgia's story as a debutante in 1958, and the drama that came with it. I received a copy of Long Live the Queen, episode 7 in the +Insomnium serial, from the author. Now that Gin has been reunited with Nel and Rev, the trio embark once more to discover how to get away from Nowhere, which has once more raised the question of whether they want to leave at all. After the shocking discoveries about Gin's past in the previous episode, Ego Altered, it comes as no surprise when Gin must fight her demons in the Monarch's Ward, which they must search for to gain access to the metaphysical. I received a copy of Wings from Netgalley. 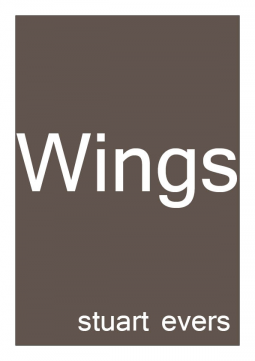 Wings is a short story about Maria's struggle with grief over the death of her sister. Though it is never actually revealed how Gwen died, it is clear from the beginning that she did. Because of a promise made to Gwen shortly before her death, Maria decides to get a tattoo of some wings on her 40th birthday. This is the centre of her story, and it is the effect that the tattooed wings have on Maria that seem to be the crux of the story. 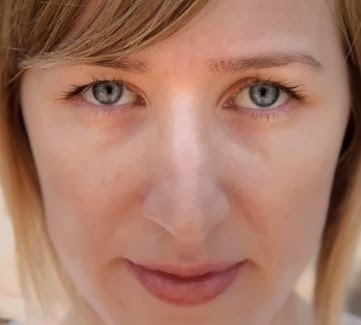 To me, it seemed that Maria was basically spacing out, and ultimately was depressed, hence her husband, Tom's, reaction to the tattoo, but also because she doesn't seem to really be paying all that much attention to herself. I don't really have much more to say about Wings, making this probably my shortest ever review, but ultimately it looks into how people deal with grief, and the effects that it has on their life in general. Though I did find the story a bit confusing at times. I received a copy of The Snow Queen from Netgalley. Nieves has been preparing for the role of the Snow Queen in the Nutcracker her whole training life, and 5 years after the disappearance of the Sugar Plum Fairy, she gets the part. When Misha, her idol and retired ballet dancer begins to pay her particular attention, Nieves is thrilled, thinking all her dreams have come true. But her dance partner, Evan, is worried about the progressing relationship of Misha and Nieves and is convinced that Misha has something to do with the disappearances of 5 of the solo ballet dancers over the years. And Evan thinks that Nieves could be next. 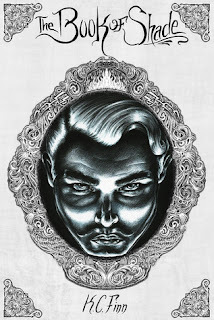 Ego Altered is episode 6 of the +Insomnium serial. 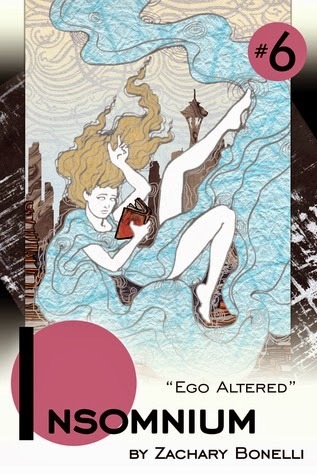 I received a copy of Ego Altered from the author. In their quest to find Gin, Nel and Rev make their way into the ward of the Didact. Whilst there they are separated from each other and sent to their respective Earths. There they encounter political problems that were not present when they were last there and have to come up with a way to escape. While figuring it out, Rev remembers that he has Gin's computer and begins to Metataxically travel between the worlds of the four humans in Nowhere (Gin, Rev, Nel and Drogl). Eventually finding Gin again, the three are reunited in their search to get away from Nowhere. I received a copy of Paranormal Pleasures by being a tour host for Bewitching Blog Tours. Paranormal Pleasures is a selection of ten paranormal erotica stories revolving around the world of demons, witches, vampires and ghosts (not to forget other paranormal beings!) Warning though, this book contains frequent scenes of a sexual nature. 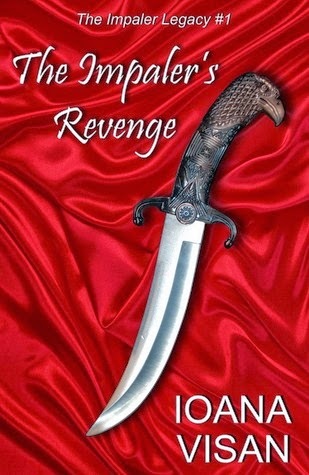 I received a copy of The Impaler's Revenge from the author. Liana is a member of the Little Council, the group that keeps the only vampire free country in the World, Romania, vampire free. But one day she is ordered to look after vampire, Max, whilst he is visiting Romania on 'business'. Whilst collecting blood for Max from the hospital, Liana meets Jesse, who quickly gets caught up in the drama surrounding Liana and Max. To get to the bottom of what is going on, Liana has to learn some uncomfortable truths, and make some decisions that she doesn't really want to make. 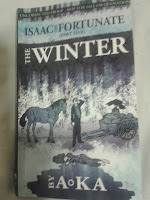 I received a copy of The Winter, part one of Issac the Fortunate from +Zachary Bonelli on behalf of Fuzzy Hedgehog. Beltran is left alone in his village in Aragon when he is come upon by two travelers. He is left devastated by the death of his wife, and when he is given the opportunity to do something about it, he jumps at it. He is sent back in time to the day she died and is told that in order to save Ama he must save everyone from the disease known as the Delirium. The first time he drinks the potion too soon, the second he only saves his village and not Spain as a whole...can he do it better the third time, to save his wife, his village and his country? Book 3 in the Courtlight series. 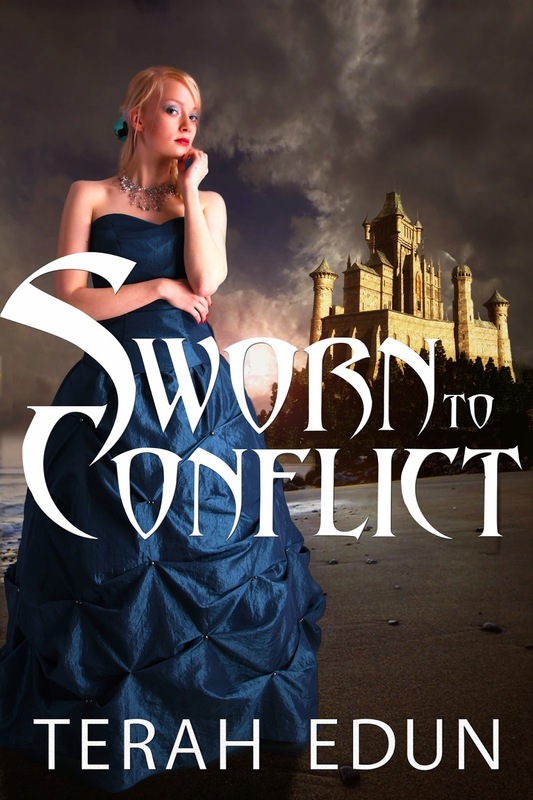 I received a copy of Sworn to Conflict from Netgalley. Ciardis wakes up having been found on the Northern most edges of the Empire, and the place of a war camp. There she discovers uncomfortable truths about the war and the Empire and why the battle is being fought, and she has to decide what she is going to do about it. Add to that her feelings about Sebastian, and how complicated they are quickly becoming, and she has more than one thing to think about. But wherever she goes Ciardis seems to inspire loyalty, and she has managed to get Frost Giant, Inga, and her guard Kane on her side without much persuasion. 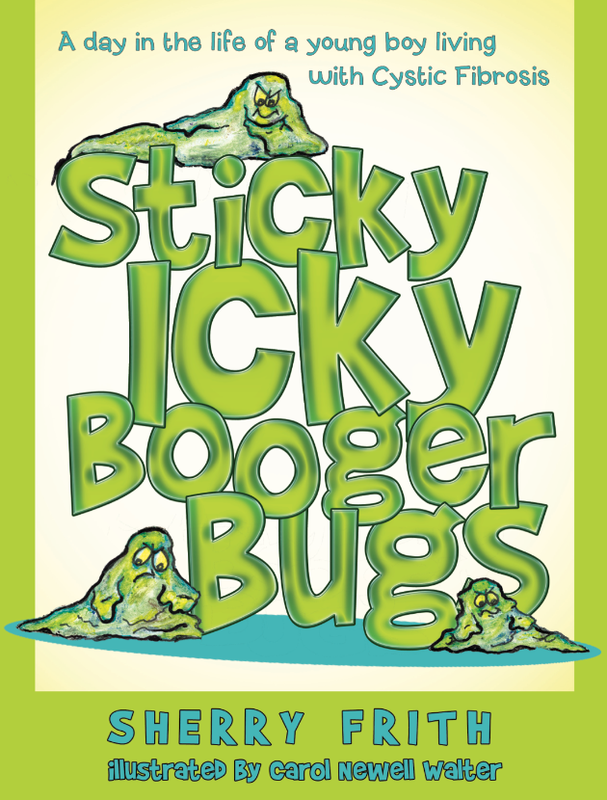 What inspired you to write Sticky Icky Boogers Bugs? I received a copy of The League of Skull & Bones in exchange for my review. Jessica Grimm is scarred by her past, and is controlled by the need to find a device which will save her from the artifact which is slowly killing her. But her life is full of twists and turns and Jess doesn't know who she can trust, even with the handsome men that are hanging around her. And she certainly can't trust the League, even after they have accepted her into their folds. Not to mention that Jess has to overcome her nightmares and her insecurities in order to discover who is hunting her and why! I received an advanced reading copy of The Book of Shade in exchange for my review. Lily is just starting university, studying Modern History. Her aims are simple, to make friends, find a cute guy and to do well. Well she manages the first two, though not quite in the way that she expected, though she also didn't expect to be told that she was a Shade, or a paranormal being. 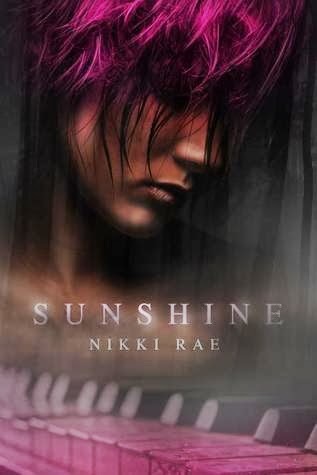 Just when she thinks that she is getting the hang of the double life, her world is shattered by the revelation that there are such a thing as Shadehunters, and they could be out to kill her. I received a copy of An Unexpected Evening for free as a Bewitching Blog Tours Host. Katerina is a witch, and her boyfriend Samuel is a Vampire. All she wants is for Samuel to give her all of himself instead of treating her as if she was made of glass. When he finally does she finds that she loves the harsher side of him. But when he realises what he's done, and that she liked it, he tries to scare her, at which point she develops a new power, which is unusual at her age. I received a copy of Sunshine in exchange for my review. There was once a young girl who lived with her loving father, but her father was lonely and decided to remarry. He married a Countess, who already had two daughters. When her father died, her Step-Mother thought that the girl was a threat to the good marriages of her daughters and relegated her to the roll of a servant. The girl was forever more known as Cinderella. I looked at my reflection in the mirror, looking at my perfect reflection, my light brown hair perfectly curled and my make up subtle and sophisticated. Tonight was the New Year’s masquerade ball, a whole evening of colour and mystery, but there was something I had to do first. I had a visit to make. “But Cinderella, why are you crying, you shall go to the ball!” The girl looked up, a haze of messy yellow curls framed her tear stained face, pretty I guess but in a youthful way, I wasn’t really sure why Philip wanted this one. She looked surprised, not that I could blame her, after all she had thought she was alone until I spoke. “Who are you?” She asked in a timid voice, betraying her fear. I almost shuddered with the pleasure of that fear. “But you do my dear!” And I produced a beautiful pale blue gown, almost white. 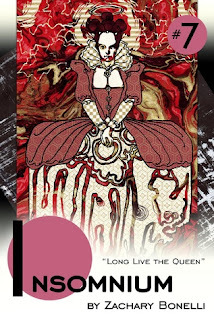 I’d chosen it with Philip in mind; he’d appreciate the contrast between the pale gown and the dark red of her blood. The girl squealed in delight, running her hand through the fabric. It was then that I knew I had her, hook, line and sinker. The carriage we had taken drew up to the palace doors. As soon as we arrived I told Cinderella that I had to leave her to enter alone, which was true, and that she should go ahead without me. She looked nervous and excited at the same time, and I smiled at the anticipation of the night’s events. I entered the ball alone; looking at the people around me I saw all kinds of colours, though none were as stunning as my own dress of course. My dress was red with black accents, striking and beautiful. My mask matched of course. I looked at Philip across the room. He smiled at me and I felt my heart flutter. His silhouette was suave in a black suit and tie, and a crisp white shirt. All the men in the ballroom wore something similar but Philip just looked a cut above the rest. I saw him approach Cinderella, her dress glittering in the candle light. He whispered something in her ear, and I felt a brief cold stab of jealousy before he looked up at me and raised his chin. His signal for us to take little Cinderella upstairs. I climbed up the stairs slowly, the anticipation building. I could hear the rumbling of Philip’s voice coming from a room to the left at the top of the stairs. He liked to toy with his meals; he liked to make them think that he loved them. There was a gap in the door and I looked through, I could see Cinderella leaning back into Philip’s chest, his jacket now on the chair near the door. He was whispering in her ear, probably sweet nothings, and she was moaning, probably thinking about what she wanted him to do to her next. Philip looked up to see me watching and smiled the smile he reserved only for me. Then it changed, and his smile became more sinister, with his fangs now clearly visible. Cinderella was clueless to what was going on, even when Philip spoke my name and told me to enter. As I walked forward he bit. I saw Cinderella’s eyes dilate in shock, and as she saw me she gurgled, as if trying to ask me to save her. At that point, with the smell of her blood in the air, my own fangs came down, and I moved forward to her other side. The fear in her eyes slowly ebbed towards a vacant stare, the little girl that thought she could steal my Prince was no more. “Maia.” Philip growled. I looked at him, not a drop of blood marring his white shirt. He stepped towards me and I lifted my face to his. Our lips met, and at that moment I knew that no little girl would ever steal my Prince. It took more than a woman to hold him. He was mine. I received a copy of Dark Hearts in exchange for my review. Dark Hearts is a selection of short stories with a paranormal theme by the authors +Amos Cassidy. You get everything, vampires, ghosts, werewolves, witches, and even a succubus! I received a copy of Know Thyself from the author in exchange for my review. 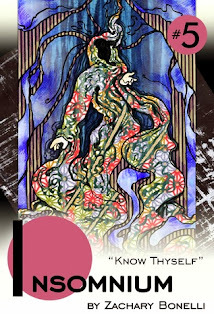 Know Thyself is episode 5 of the +Insomnium serial. Rev and Nel find themselves confused, they feel that they have forgotten something, or someone, but they can't quite put their fingers on who. They set off on a journey through the wards of Nowhere looking for a way to return their memories, and to return Gin to them. I received a copy of Gargoyle's Embrace in exchange for my review. At the bar where she works Tracy is constantly drawn to one of the gargoyles that lives at the end of the bar, she talks to it when there's no one around she talks to it telling him about her life. Then one day, Tracy's ex, Brian stops by the bar and threatens her, despite the restraining order she has on him. At that moment the gargoyle shifts, revealing the man of Tracy's dreams, and he is there just to protect her. But Danton can only stay in human form for 24 hours unless Tracy bonds with him, can he convince her that she loves him in time? 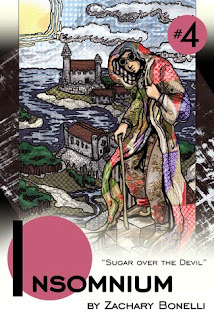 I received a copy of Sugar Over the Devil from the author in exchange for my review. This is episode 4 of the +Insomnium serial. 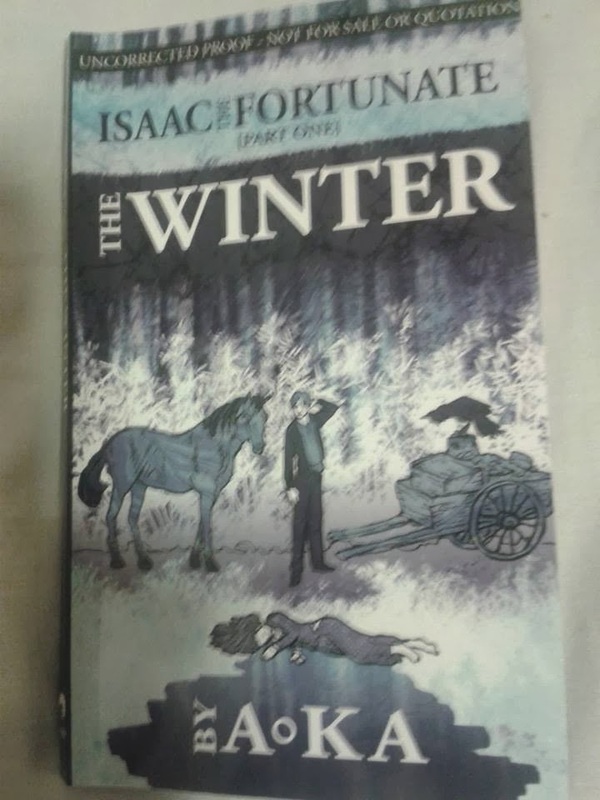 Still determined to find a way out of Nowhere, Gin, Nel and Rev set out in search of the Usurper who is said to have taken the place of one of the governors, the Wizened. Setting off through a forest they are attacked by zombie like creatures and saved by a man claiming to be the usurped Wizened. They promise him help after he tells them there is information in his library that could help them get home. But things aren't always as simple as they seem. I received a copy of This Morning I Woke Up Dead in exchange for my review. 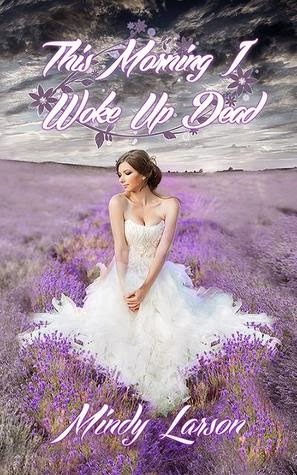 Hadley and Dominic are madly in love, and are engaged to be married, until one fateful day when Hadley is in a car crash and dies, but she doesn't quite die, because in that moment Hadley realises the truth, that the whole world is dead anyway. Earth is a practice run for life, and now she is a spirit guide, her true form, she tries to convince Dominic that he is dead too. But along the way she needs to convince Dom's sister, Emerson to tell the truth about a pretty big lie that is driving her to distraction. industry for most of her adult life. 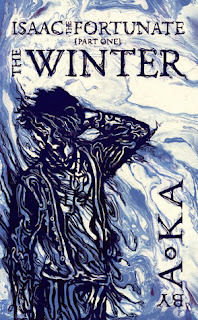 In 2010 Becca published her first novel, Riser followed by the sequel, Reaper, in 2011, and the finale, Ripper in 2013. In 2012 Becca wrote the children’s novel Alexis Tappendorf and the Search for Beale’s Treasure. She is also the co-author of the teen graphic novel Ghost Whisperer: The Haunted. I received a copy of Dirty Pleasures from Netgalley in exchange for my review. Ceci has been traumatised by her ex-boyfriend's death, causing her to have OCD and a desire for order in her life. But there is one thing that makes her think she doesn't need too much control, or rather two, Gabe and Dylan. 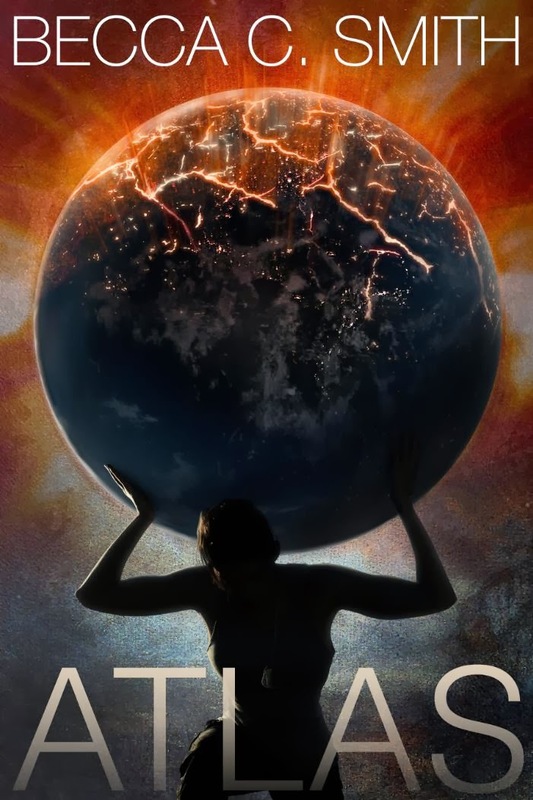 Having been her protectors during the previous inquest, though neither of them dared lay a hand on her they both became captivated by the strong and determined woman Ceci is. Reluctant to form any emotional attachments to the two men, all of that is swept away when she sees their softer side, as well as when they teach her new things in the bedroom. I received a copy of Inn on the Edge as a part of this blog tour. Newly weds Angie and Josh are heading off to their honeymoon at a mystery location called the Inn on the Edge. When they get there they both feel a strange sensation as if something is wrong, but that quickly passes and the couple settle into their first night as a married couple. But soon the games that are being played at the Inn start to change, and Angie and Josh find themselves doing things that they never normally would have, with each other, and with the other guests. Realising something is wrong, the couple have to figure out how to break the spell over them and escape the Inn. Trial by Water is the third episode of the +Insomnium serial. 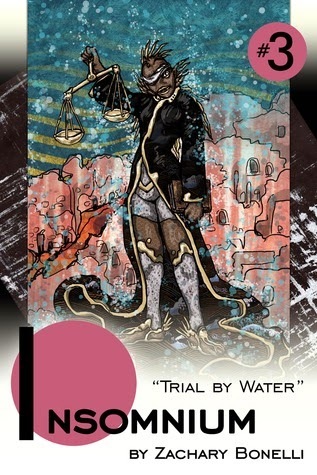 I received a copy of Trial by Water from the author in exchange for my review. With Rev and Gin having been arrested, Nel travels with them to the place of their trial, determined to get them free if anything. He is sent to see Iggy who advises him on what will happen when faced with the charges and helps Nel to sort out the mess he is in. I received a copy of Texas Outlaw from the author in exchange for my review. Fancy has grown up to a life of crime, but is now being made to feel that 25 is too old to be any use. When the Outlaw group she works with performs a train robbery, she runs into Cord, a Marshal, and the first law man who has ever failed to fall for her charms. When the robbery takes a turn for the worse, Fancy has to make off on her own. Eventually Cord catches up with her, and along with his two younger brothers, Zack and Wes, they start a journey which takes many unexpected turns. Ella is engaged to Prince Ruark, and all she wants is for him to take advantage of her and fulfill her sexual needs, and yet he won't. Then one night her 'Fairy Seductress' gives her a potion that will make her irresistible to Ruark and makes her confident enough to get what she wants. What proceeds is the couple letting go of their inhibitions and enjoying each others company. I received a copy of Beauty's Beasts from Netgalley. Tally and Carson's daughter, Riley, grew up in the foster care system after her parents were killed hunting demons. 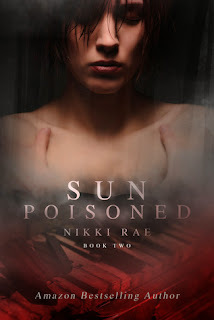 Years later, vampires Nick and Damion, who helped to raise Tally, find Riley and recruit her to help defeat the Stonebrood Clan once more. Upon meeting the two vampires, Riley feels an instant attraction to them both, and feels a clash of emotions as they both show an interest. All the while the trio have to make sure that Riley is trained, and that they have a plan to defeat the Stonebrood Clan once and for all. 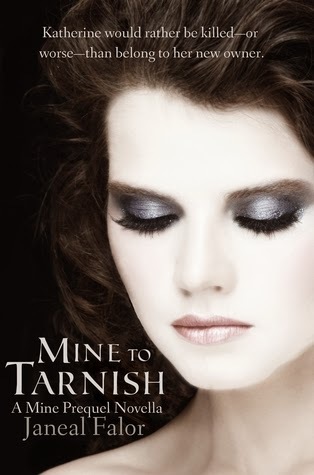 I received a copy of Mine to Tarnish from Netgalley in exchange for my review. Having been tested for magic, and revealed to have a stronger magical potential than anticipated, Katherine is sold to a powerful warlock, Nigel. When finally faced with the man that now owns her, Katherine decides that she has been owned for far too long. With the help of her mother she escapes to the countryside where she meets a tarnished man, Charles, who helps her get away. But Nigel isn't going to let her go that easily and Charles and Katherine are forced to run for their lives with only their wits about them. 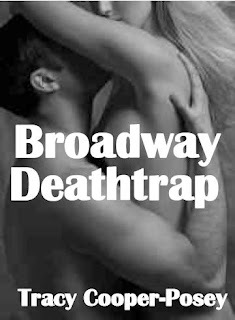 I received a copy of Broadway Deathtrap as a free gift when signing up to a newsletter. Having busted his knee, ending his career as a dancer, Ben is now a cop, and is one day called to a theatre to investigate a murder. Once there he discovers that the chief witness is Bree, the lead dancer in a new production, and Ben's former flatmate. Having wanted each other for years the couple finally give in to their baser needs. Leaving Bree sleeping, Ben goes to discover more about the murder, he figures it out, meaning that he then has to race to save the woman that he has already let go of once. 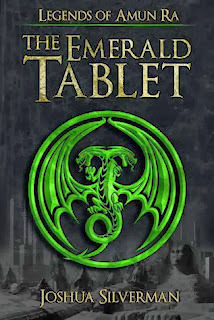 I received a copy of The Emerald Tablet in exchange for my review. Leoros has been dragged around landmarks of ancient importance for his entire life as his mother looks for her ultimate discovery. 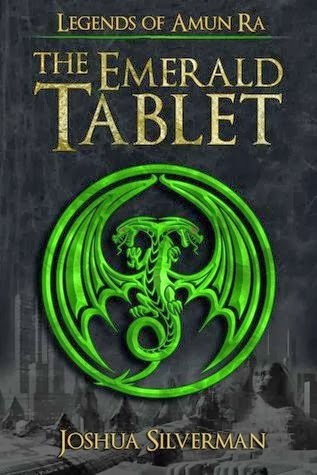 In Egypt, she finds the Emerald Tablet, which unbeknownst to him, beckons Leoros and he travels to an alternate world. Here he is found and initiated into the Amun priests. Befriending a slave girl called Atlantia, Leoros needs her support in accepting his fate as the saviour of those people. 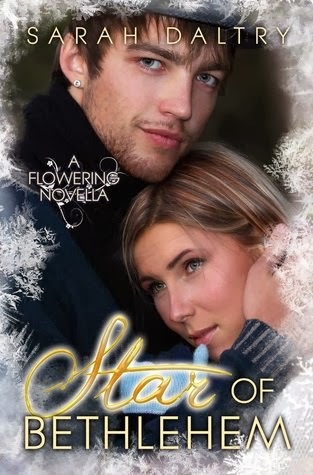 Star of Bethlehem is a novella from the Flowering series (after Forget Me Not and/or Lily of the Valley). I received a copy of Star of Bethlehem in exchange for my review as a part of this blog tour. It is New Years Eve, and Jack is about to meet Lily's family for the first time. The nerves are high on both sides, though Lily refuses to change anything if her family don't like him, but she knows that Jack needs them to. Things are made even more tense when Derek shows up, and shows a side of him that Lily doesn't remember him ever having. Barnes & Noble http://www.barnesandnoble.com/c/terah-edun iBookstore https://itunes.apple.com/us/artist/terah-edun/id634533819?mt=11 Are you new to the Courtlight series? Well, you can grab the first book, as well as five other amazing Young Adult books, for less than the price of a Starbucks latte! That’s right, I’m offering Sworn To Raise in a new multi-author YA bundle with six authors from bestselling teen book series! 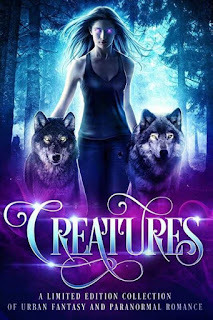 With 155 5-Star reviews and a regular price of $9.99, this Young Adult Paranormal, Fantasy and Romance bundle can’t be beat. So start it today! From High Action Fantasy To Contemporary Romance, This Six-In-One Author Bundle Has Something For Every Teen On Your List. Six authors with bestselling romance, fantasy & paranormal series. 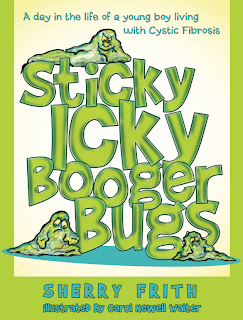 On sale for $0.99 - Limited time offer! International Giveaway for Sworn To Conflict is below! Terah is giving away signed copies and swag for the Courtlight series. There are 20 total winners! CLICK HERE to enter! Good Luck! AND there is another giveaway just on trips down imagination road for a copy of Sworn to Conflict!